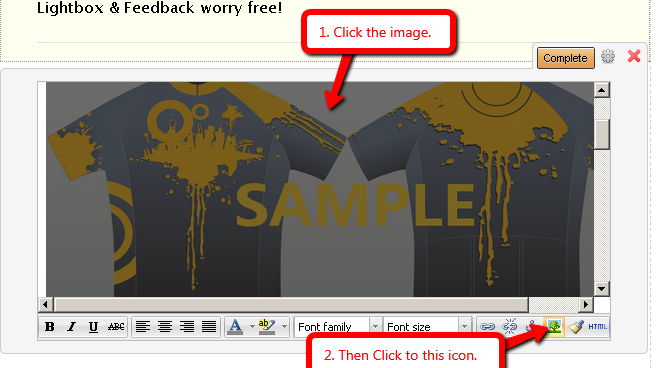 How to upload image on lightbox form template. I have cloned the lightbox template and in order to change the image on your lightbox, you need to follow the steps below. 1. Click the HTML editor where the images lies and click the image. 2. Once it is highlighted, click the image icon below. Then a pop-up window will show up. 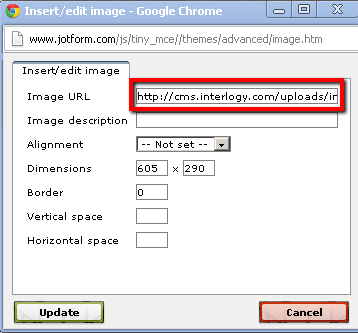 You will be able to see the image URL there. Replace it with your image URL and adjust the width and height on you preference. You can use photo management system online to be able to get the URL of your image. An example is photobucket and ink-filepicker. There is more you just need to find one and they will provide the URL of your image to easily upload the image on your lightbox.